Alternative spaces take many different forms, such as old residences, old apartments, regular housing, half-abandoned factories, or storage spaces, and according to the different conditions and geographical locations of different buildings, display different attitudes and personalities towards art. Some may be hidden in alleyways, or stand with a high profile by the street. For a city, these spaces are a daily perceptive viewing experience for Taiwanese citizens to walk by and have a chance encounter with “art.” In this chapter, we try to retrace the background in which alternative spaces appeared in Taiwan. Where does this term come from? When did it appear? How should we understand the term alternative space? And for Taiwan’s southern city Tainan, how did alternative spaces develop there after Taipei? In the 1960s, Taiwan underwent the “abstract as modern” artistic trend, followed by country realism in the 1970s, and the pursuit of experimental and innovative avant-garde art in the 1980s. “In resistance against realism, which has overtaken art academies and artistic trends, avant-garde artists strive to find opportunities for exhibitions and exposure, but because there is a lack of exhibition space, or because most exhibit halls don’t accept such modern art forms, these artists looked outside of official channels in search of platforms” [Note 1]. And so, 1986 saw the birth of the Studio of Contemporary Art (SOCA) and IT Park, which have a primary background of artists that studied in Europe. In 1989 there was “Apt. No.2,” which featured mainly artists that studied in the US, and in 1990 there were NO.1 and Taiwan Documentary Room. These spaces became the gathering spaces for the power of young artists, on one hand serving as places to exchange information about the development of art circles abroad, and on the other a place to display avant-garde art, so that young artists can search for the non-mainstream and absorb creative energies in heterogeneous, diverse, and unlimited ways. [Note 2] The first alternative spaces that appeared in Taiwan shared the same original meaning as the term “alternative space,” based on longing for new exhibition spaces outside of mainstream art. Alternative spaces played an important role in the development of avant-garde art. Art developed in diverse ways after the 1980s, yet official museums were limited in the diverse ways modern art is displays, and art galleries were restricted by business concerns. Alternative spaces were born out of necessity in this background. Taipei saw the first rise of alternative spaces, while alternative spaces in Tainan only appeared after the 1990s. From the 1980s to early 1990s, the main exhibition space in Tainan were the Tainan City Cultural Center, the China Art and Culture Center located on the second floor of China Daily News, and a few new art galleries. There were actually very few art and cultural spaces suited for exhibitions. In other words, there were n not suitable alternative spaces for the exhibition of new art forms. To put it simply, there were no museums in Tainan, so the Cultural Center functioned as a museum and became the central force in guiding the aesthetics and art preferences of Tainan citizens. The art exhibitions at the Cultural Center were relatively important and can even be said to represent the “mainstream” development of the art world in Tainan. And so in the 1980s, the Cultural Center served as the center of art in Tainan. On one hand, it gave citizens a place to display their work and facilitated local understanding of art development in Tainan, serving its purpose of art education, but on the other hand, it left contemporary artists with little space to express themselves. Contemporary artists in Tainan found it hard to secure a place to display their work. Even though there are museums in Taipei, a single museum cannot cater to the needs of the many artists in need of exhibition spaces. Tainan has the Cultural Center, but its exhibitions focused on the development of local art history, so it is even more in need of exhibition spaces that can promote contemporary art ideas. It was not until the emergence of Border Culture (April 1992 – 1995) and New Phase Art Space (June 1992-1999) exhibition spaces that the art and culture exhibition environment in Tainan began to change. Border Culture was established on Chongming Road, Tainan, in 1992, by seven art graduates from Chinese Culture University whose ages averaged just 28 years old. They established the place as a cooperative gallery operated by a membership system. They exhibited two-dimensional, three-dimensional, and installation art, featuring heavily experimental and personal pieces. New Phase Art Space is located on Yongfu Road. When it was established in 1992, it had a large scale and was divided into four managing departments: exhibition, events, catering, and design. Overall spatial arrangement included an art gallery, a theater, a bookstore, and a café. Exhibitions included art seminars, concerts, theater, and even movies. It can be described as an artistic and cultural hub that gave art lovers in Tainan an excellent place to take part in such activities. Prototype Art was later established in August 1998. The space was founded by Lee Kuen-Lin, Wang Pang-Jung, Lin Wen-Jang, Hsieh Hong-Ming, Yeh Chi-Feng, and Chen Mei-Su. Lin Hong-Wen volunteered to organize the space. The exhibition format at Prototype Art differs from that of New Phase Art Space and Border Culture. The space is not a commercial art gallery, nor a cooperative gallery with memberships, nor does it provide fusion dining. Its operation does not charge artists with rental fees; it operates completely and purely as an exhibition space. 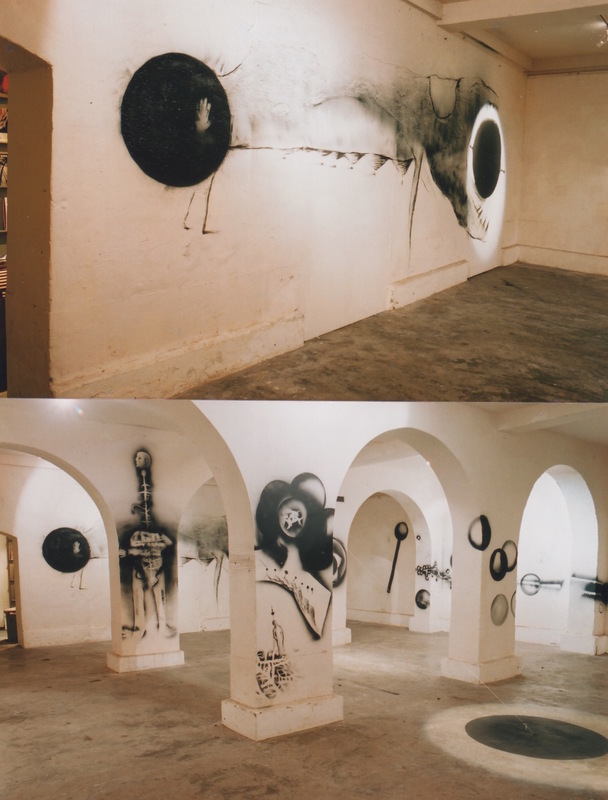 It hosted exhibitions including solo exhibitions, joint exhibitions, and themed exhibitions until it closed in January 2005. For Tainan, aside from the two exhibition spaces Border Culture and New Phase Art Space, Prototype Art is an alternative space that formed later in Tainan but had a stronger drive in promoting experimental and contemporary art. If you compare the context of Taiwan’s alternative spaces with that of Western countries, the emergence of alternative spaces in Taiwan was not sponsored by the government, nor developed from non-profit organizations. Rather, they are exhibitions spaces artists formed on their own without business or government mechanisms in search of a platform to display their work outside of academia and mainstream art. After 1986, Taipei was the first to have artists returning from studying in the US and Europe form alternative spaces based on Western constructs. In 1992 Tainan began to follow in Taipei’s footsteps and developed exhibition spaces outside of business and government systems. The need for alternative spaces in Taiwan also had another interesting context. After the 1980s, artists began widely using installations as an art form [Note 5]. This made alternative spaces all the more necessary. The spaces established in Taipei after 1986 are the origins of alternative spaces, with a heavier emphasis on the “alternative” aspect, whereas the development models of alternative spaces that appeared in Tainan after 1992 is not entirely for alternative spaces, but fusion spaces with catering and bookstores, or cooperative galleries co-financed by artists. Their properties differ from the completely non-profit model of alternative spaces. But as this article mentioned, unlike western countries, the early development of alternative spaces in Taiwan was not sponsored and promoted by the government. Instead, these spaces rely on funds raised by artists to operate. And so, under the premise of sustaining operations for these spaces, the fusion space or cooperative gallery models seem to be inevitable phenomena in the developmental process and have become part of the ecology formed by the autonomous development of alternative spaces in Taiwan. Tainan in the 1990s also experienced the same lack of contemporary exhibition space, which led to the establishment of spaces like Border Culture, New Phase Art Space, and Prototype Art. And then came the 2000s. Of the three art spaces born in the 1990s, Border Culture closed in 1995, New Phase Art Space closed in 1999, and only Prototype Art, an alternative space that opened in 1998, remained in operation until 2005. Like the coming of the next generation, new art spaces formed after 2000. These new spaces differ from the 1990s art spaces in both properties and management style. The Paint House Gallery founded in April 2000 created a new prototype for alternative spaces. Paint House Gallery was founded by Lin Huang-Ti and Wang Wan-Ting, who refurnished their paint store into an exhibition space. Their first exhibition was “Painting Company Show,” which connects the history of their family business with art exhibitions to open up dialog for the exhibitions. The space at Paint House Gallery was more than a typical exhibition space; it was an attempt at a event-oriented forum/workshop. And because the space is remodeled from a paint shop in a neighborhood, interactions with local citizens became an integral element to consider when managing the space, which means that the role played by this art space is no longer just a setting for artists to have discussions behind closed doors, but a place within a neighborhood that is welcoming to the public. The Taiwan New Arts Union was founded in August 2003. Founding members included nine artists, Fang Hui-Kuang, Lee Ching-Chuan, Lin Yen-Liang, Zack Lee, Liu Mi-Shan, Hung Li-Wen, Lin Min-Tzu, Wu Hung-Hsiang, and Gui Rui-Xiang. It operates with a membership independent exhibition model; the exhibitions lean towards new art with undertones of Taiwanese identity. 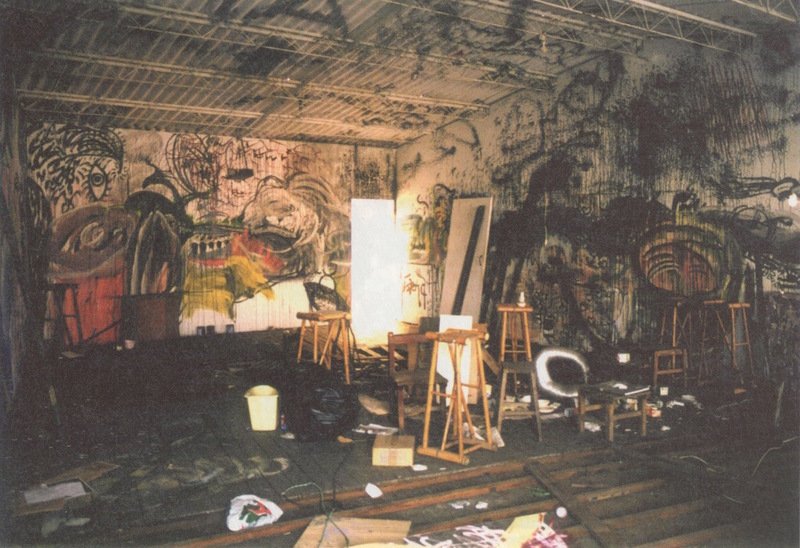 In February 2007, art spaces managed by young people surfaced. 76 Art Space + Black Snail Studio was founded by Lin Yu-Cheng and Woody Shih, two young men that just graduated from National Hualien University of Education. The space serves as both a woodwork studio and exhibition hall. In August of that same year, another group of young graduates founded Art 57 Studio on the same street. Founding members consisted of mainly Tainan University of Technology graduates, including Huang Mei-Huei, Zhu Ying-Ying, Jian Wen-Jin, and Tseng Yun-Jung. These who art spaces have many things in common. They are both old houses that these young people refurbished by hand, located on Shengnong Street, which is steeped in local culture, and exhibition contents, because of the owners’ backgrounds and age, lean towards the work of younger artists. These elements show a new side of art spaces in Taiwan: On one hand it combines old houses in Tainan with the cultural atmosphere of old streets, integrated with studios independently funded and operated by young people. On the other hand, the establishment of two young art spaces on the same street subtly creates a new force of art spaces in Tainan. In January 2009, K’s Art Contemporary Art Space was founded by Tainan University of Arts professor Gu Shi-yong. The art space combined exhibitions with an antiques collection, allowing the old house, which is heavily weathered by time, to provide a context, so that when art pieces are exhibited in the space, it also creates a dialog with the space itself. The art space subverts the concept of the exhibition having a blank background, and creates a different experience in which viewing an exhibition feels alike a daily experience. In April of that same year, the photography-oriented Fotoaura Institute of Photography was founded by Lee Hsu-Pin. Introducing possibilities for the development of contemporary art in photography, the space not only provides an exhibition venue, but also integrates educational courses on photography theory and practice, in attempt to operate an art space that puts equal emphasis on art exhibition and education. After 2000, art spaces in Tainan gradually developed their own style. Starting with Paint House Gallery, art spaces began to developed public functions. Many of the art spaces that followed were old houses refurbished into exhibition spaces. They draw the public closer to art, and thrives in old houses all around Tainan, creating a new dialogue between art and Tainan’s urban landscape, and becoming a unique feature of exhibition spaces in Tainan in recent years. Perhaps we often see Taipei as the center, with Zhuoshui River as the dividing line. So the further south we go in Taiwan, the more we are isolated from Taipei, the center of resources in the development of art in Taiwan. But if we shift the viewpoint to Tainan, a city in southern Taiwan, we see that the development of art has not stagnated due to geography. On the contrary, six independent art spaces have been established over the last ten years. While this article is not trying to create a binary perspective, but in Tainan, outside of the heart of Taipei, the development of art spaces have formed a model unique to the city. We might be shocked at the speed with which art spaces in Tainan developed, and curious as to where this autonomous energy comes from, but we are glad to see art spaces continue to develop with different characteristics, and look forward to the growth of new art spaces in the future. Gao Zijin, ‘Mining for Creative Minerals From the Border – Development of Installation Art in Alternatives Spaces in the 1990s’, “Art Critique of Taiwan” Vol. 12, October 2001, Pages 48-49. Hsu Tzu-Kuey first founded Up Art Gallery in Kaohsiung, then Kao-Kao Art Gallery in Tainan, before finally founded Up Art Gallery in Taipei. Kao-Kao Art Gallery closed on October 25. Installation art first appeared in Taiwan in the 1960s and 1970s, but real dialog concerning installation art as a specific art form did not begin until the 1980s. “Alternative Spaces and Semi-Alternative Spaces Forum,” ARTCO Monthly Vol. 93, June 2000, Page 148.